View cart “Alive & Well” has been added to your cart. This DVD album features some of the world’s top scientists, researchers, and journalists who soundly reject the theory of man-caused global warming. If you are wondering why there is so much pushback against the theory of man-made global warming, here is the answer. Thirteen hours of intense programming that will jolt even the most adamant believers. Excellent value at $69 but even better during current sale. Global warming is one of the most heated debates of our time because it involves government policy that will profoundly affect our lives forever more. The political, economic, and social consequences of being wrong are grim beyond words. 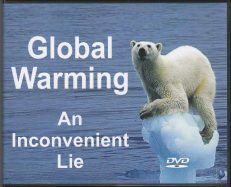 You have heard from many sources that global warming is real and that only crackpots think otherwise. Now it is time to hear the other side. This DVD album includes 13 hours of programming. It was recorded at the 3rd Congress of Freedom Force International in Phoenix, on 2016 December 3, where some of the world’s top experts on this subject soundly rejected the theory of man-caused global warming. The Real Inconvenient Truth; More CO2 Benefits the Earth Prof. Happer is a professor at Princeton University in the field of atomic physics, optics, and spectroscopy. He is a pioneer developer of adaptive optics. He has served as Director of Science in the US Department of Energy. Professor Happer is a strong voice against the myth of anthropogenic global warming and says there is no reason to believe that CO2 levels are a major factor in climate change. Global Warming Is the Biggest Deception in History Prof. Ball is a retired professor at the University of Winnipeg, Canada. He earned a Doctorate of Science at Queen Mary College, University of London, was Chairman of the Canadian Committee on Climatic Fluctuation, Chairman of Winnipeg’s Advisory Committee on Hazardous Waste, has authored 53 scientific papers, and is the author of The Deliberate Corruption of Climate Science. 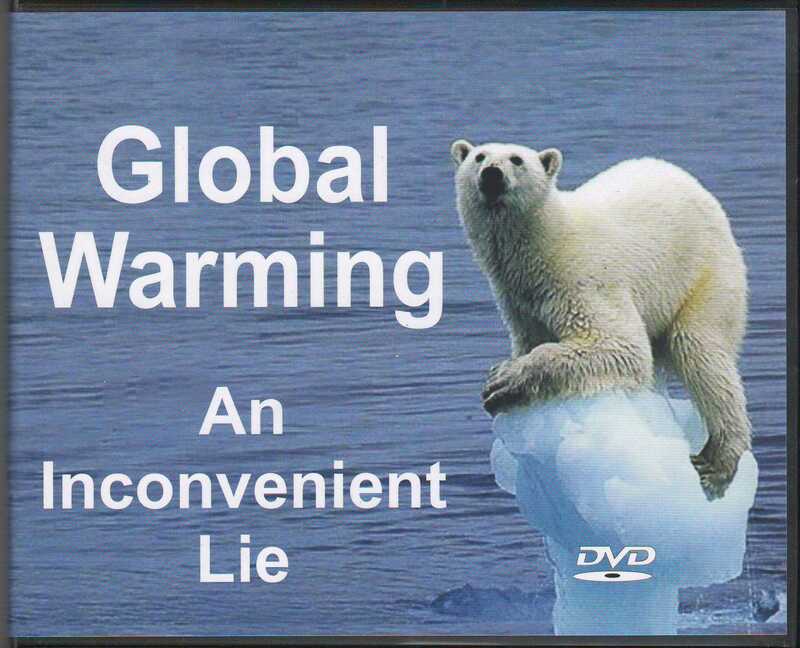 Professor Ball says that human-caused global warming is the biggest deception in history. Man vs. Sun; Put Your Money on the Sun Dr. Soon is a solar and astrrophysics scientist and an editor for the journal New Astronomy. He co-authored a scientific paper, “The Maunder Minimum and the Variable Sun–Earth Connection”, that debunks anthropogenic global-warming from the perspective of astrophysics. Man’s effect on the Earth is puny compared to solar-storms. The record of climate change from 1645 to about 1715 confirms that global warming is caused by solar variation, not human activity. CO2 Is Not Pollution. It is Our Friend. Dr. Marko is a professor of Chemistry at Catholic University of Louvain, Belgium. He says that everyone should be concerned about pollution of our air and water by toxic chemcals and unsightly waste products. However, CO2 is not in this category. CO2 is not a health hazard but is essential to the life cycle of plants and humans. More atmospheric CO2 actually would be healthy for us and good for increased food production. He has enraged the global-warming myth-makers by likening their belief system to a religion. Global Warming Is A Monstrous Hoax Christopher Walter Monckton, 3rd Viscount Monckton of Brenchley, UK, is known for his journalism, conservative political views, opposition to the EU, and especially for masterful debunking of global warming. In 2016, he was a national leader in rallying the British vote on behalf of BREXIT. Lord Monckton is a member of the Freedom Force Hall of Honor. Why Do They Deceive? Mr. Griffin is an author, film maker, and Founder of Freedom Force. His best-known works are The Creature from Jekyll Island and World without Cancer. He shows that the myth makers are driven by an ideology called collectivism, and that global warming is a tactic to frighten us into accepting total government (the essence of collectivism) as necessary to save the planet. Without this understanding, the myth makers may seem stupid but, with it, we see that they are very smart in pursuit of their agenda. They Call it Science; Global Warming and Technocracy Mr. Wood is the author of Technocracy Rising; The Trojan Horse of Global Transfor-mation. He is the go-to source for information on the Trilateral Commission. He shows how the age-old drive for world power has morphed into new forms and now hides beneath phrases like environmentalism, the green economy, and sustainable development ‒ but, at its root, it remains an all-out attack on private property and financial independence. 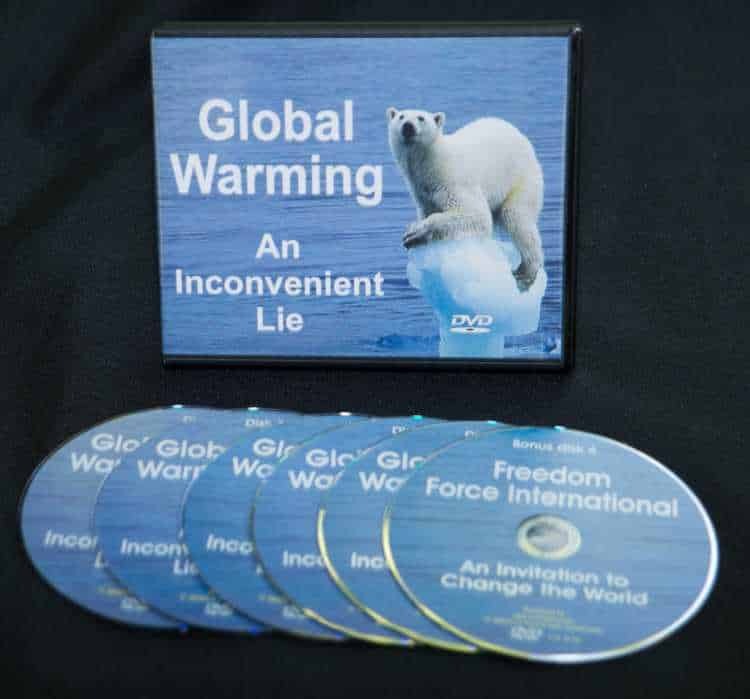 They Call It Education;Global Warming and Political Indoctrination Holly Swanson is the author of two books on the hidden agenda of the environmental movement. They are: Set Up & Sold Out; Find Out What Green Really Means, and Training for Treason: The Harmful Agenda Behind Education for Sustainability. She is the founder and director of We Choose Freedom, a citizen’s campaign to stop political indoctrination in our schools. Geoengineering, Weather Modification, and the Weaponization of Nature Mr. Lee is a private geoengineering investigator without equal. With a talent for finding rare and sometimes hidden documents, he will stagger your mind with proof of your worst fears about weather modification for warfare, geoengineering for profit, steering tornados with HAARP antennas, adding sulfur, bio-fuel, aluminum, barium, strontium, and carbon dust to jet fuel, and much more. And he has the documents to prove it. They Call It Smart Growth: Global Warming and The Depopulation of Rural America Miss Bacigalupi is a long-time student of the global-warming myth. She attended the UN’s Paris-21 Conference on Climate Change as an observer and critic. She will show how Agenda-21 will be used to place an unbearable yoke of taxation on developed countries. This is said to be for the benefit of poor nations, but most of it will go to politicians, bureaucrats, and military ‒ in the name of fighting global warming. They Call It Green; Global Warming and Agenda-21 Mr. Happel is a former County Commissioner in Madison County, Montana, and is an outspoken foe of the UN’s Agenda 21. Dan shows how this blueprint for tyranny parades under the guise of sustainable development but really is aimed at bringing all human activity under control of government ‒ supposedly justified by the myth of global warming. Dan is on the Leadership Council of Freedom Force International. They Call It News; Global Warming and Propaganda Mr. Newman is a journalist and co-author of the book Crimes of the Educators: How Utopians Are Using Government Schools to Destroy America’s Children. 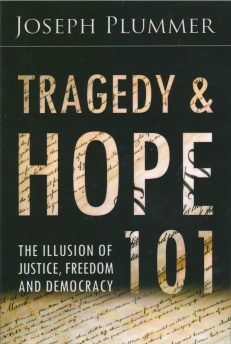 He has a keen understanding of the global-warming deception and shows how global-warming myth makers, embedded in schools and media organizations, follow Adolph Hitler’s axiom: If you tell a big enough lie and tell it frequently enough, it will be believed. Native Americans – Pawns in the Agenda-21 game Elaine is co-author of Going to Pieces; The Dismantling of the United States, a report on how the government is funding the rise of tribalism in a strategy to reorganize local political subdivisions into regional governments to be recognized by the UN as sovereign nations. Elaine is of Cherokee lineage and has worked most of her adult life with tribal leaders to protect the rights of native-Americans. Now she is equally active in protecting the rights of non-tribal citizens from tribal-government overreach and loss of American sovereignty. Agenda-21; Bringing the Soviet System to America Mr. Shaw is an environmentalist and founding member of Freedom Advocates, which helps people defend their property from government confiscation in the name of sustainable development. He is proprietor of a 75-acre coastal oasis internationally acknowledged as a native-plant wonderland. Michael shows how Agenda-21 is creating a totalitarian governance system in the Bay area of San Francisco that is a model for the rest of the world. The first three components of the global-warming theory are politically motivated myths. The fourth is all-too-real. Mistakes are one thing. Lies are another. 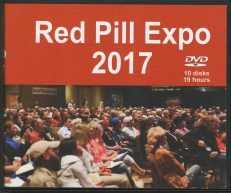 This video album contains nineteen-hours of presentations recorded at the First Red Pill Expo in Bozeman, Montana, on June 22-23, 2017. It was a smashing success and the beginning of a new genre of gathering events for truth seekers and teachers who seek to leave the Matrix of illusion that dominates the popular belief systems of the modern world. Yes, Virginia, reality is quite different from what you have been told, and here is where the path of discovery begins. Discover how startling medical research conducted at a leading US university led to the development of an easy-to-use health protocol. 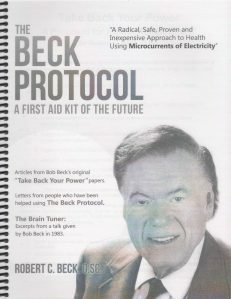 A wealth of information about the Beck Protocol and the Beck Brain Tuner.